Compost can be bought at a local nursery or generated at home by adding grass clippings, leaves and kitchen waste such as fruit and vegetable excess to a compost bin. The bin acts like a small silo–housing, fermenting and decaying organic matter until it’s ready for use in the garden. This popular video will show you how it’s done. Most people realize that compost is a good thing to use, but let’s dive into exactly why that is. 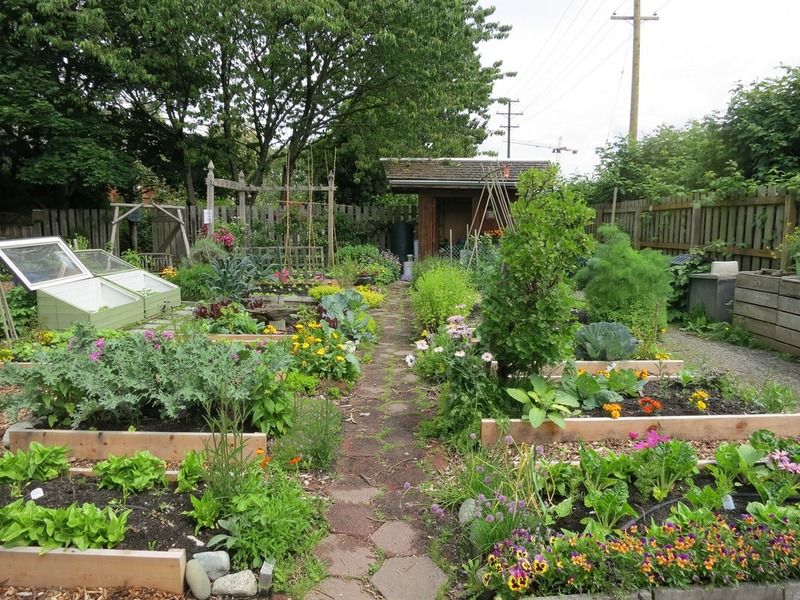 You may be surprised to learn that the benefits extend far beyond your garden. Most compost, as it’s breaking down, has some level of humus in it. Humus is the by-product of compost when the decaying process is totally finished. Humus has some nutritional value but nitrogen, an important nutrient to plants, is missing. The main benefit of humus is its ability to absorb water. A healthy garden needs this plus compost to provide nutritional diversity. Humus is usually a main ingredient in topsoil. Soil structure refers to how well inorganic particles (sand and clay) mix with decayed organic particles (compost and humus). Good soil structure means that it’s crumbly with air pockets that allow for easy cultivation. It takes a lot of water to sustain plants in sandy soil because moisture passes through sand quickly. Compost can bind to sand, creating a sponge that will retain more moisture and nutrients. In contrast, compost also binds to dense clay soil particles that moisture and nutrients have difficulty penetrating to create pockets of air that allow them into the soil. Because compost improves the condition of almost any soil, it’s often referred to as a soil conditioner. That fabulous soil structure created by compost allows roots to soak up nutrients and water more effectively as well as grow with less constraint in dense soils. A Denver Water study showed that adding one pound of compost to 100 pounds of average soil increased the soil’s water retention capability by 33 lbs or 4 gallons of water. Increase the amount of compost to five pounds and that same hundred pounds of soil will hold 200 pounds or 25 gallons of water. Any type of soil can become more absorbent with compost. Because compost acts like a sponge, less rainwater enters storm water drains. Run-off like rain water and excess irrigation picks up grass clippings, pesticides, garbage and other pollutants that are damaging to sea life on its way to the ocean. Have a slope that you’re concerned about at home? Surround your deep-rooted plants with compost to soak up water that would otherwise erode the slope over time. This is becoming a common practice on hillsides near freeways and roads. How much additional water plants require is directly proportional to the amount of organic matter like compost in your soil. The more you have, the less water you’ll use. Ask your gardener about adding a layer to the top of your lawn to reduce water needs there, too. Soil microbes are to soil what acidophilus in yogurt are to humans. The work they do in the soil is complex but the bottom line is that we wouldn’t be here if they weren’t because plants can’t take in nutrients without their help. Microbes are alive and when they eat organic matter like compost, they create foods like nitrogen, carbon, oxygen, hydrogen, phosphorus, potassium and trace minerals for our plants. Gardeners can continue to feed soil microbes by adding compost. 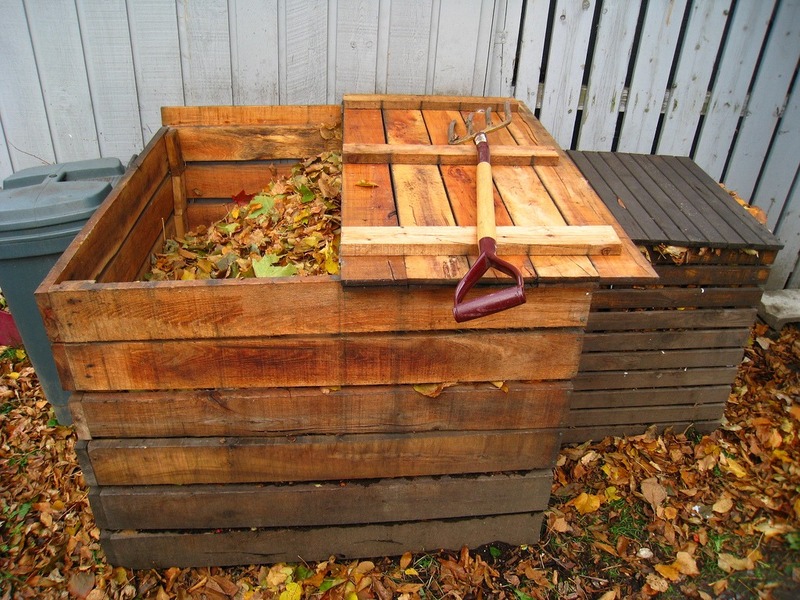 Microbes are often the reason why a shovel full of garden soil is added to a compost bin. Though they’re everywhere (not just in soil) adding them with garden soil expedites the decaying process. And, in case you’re wondering, microbes are so small that they are invisible to the human eye. In addition to the above, compost already has microbes in it because they are responsible for breaking down the food, leaves and more in the bin to begin with. Soil microbes also destroy plant and human pathogens (reducing disease) while stimulating a number of other positive functions. Compost is very well known for preventing root rot. Scientists can even tailor compost with certain microorganisms that fight diseases specific to crops in large agricultural situations. The Environmental Protection Agency states that the composting process eliminates odors and treats semi-volatile and volatile organic compounds (VOCs) such as heating fuels, polyaromatic hydrocarbons (PAHs), and explosives. Compost binds heavy metals in a manner that prevents them from running into stormwater and being absorbed by plants. The composting process can degrade partially and, in some cases, completely degrade pollutants such as wood preservatives, pesticides, and both chlorinated and nonchlorinated hydrocarbons in contaminated soils. Most plants prefer soil at a neutral pH or slightly acidic. If your plants are struggling despite your best efforts or you want to change the color of your hydrangeas, consider testing soil pH with a simple kit to determine whether your soil is too acidic or alkaline. If so, compost can help though it doesn’t actually change the soil’s pH. It serves as a buffer causing soil to behave one point or so closer to neutral in either case. If you need to change the pH more than just a point or two, it can be done with compost over a period of time. As your gardener for details. Less irrigation results in a lower water bill and because compost is nutrient dense, it eliminates the need to purchase fertilizer. Also, it can reduce the amount of pest control needed. And, remember, if you are a San Diego resident you can pick up two cubic yards of compost for free from Miramar Landfill’s greenery. Compost uses waste that may normally wind up in the trash, therefore, it helps prolong the life of landfills and reduce strain on municipalities responsible for collecting trash.